With funding for nonprofits shrinking and global markets shaky, our business and social sectors are both confronting an increasingly uncertain future. Many organizations are searching for innovative strategies that will counter the mounting pressures felt by communities and corporations alike. Common Interest, Common Good argues that forward-looking businesses and social sector organizations (both nonprofit and government) can solve many of their problems by working together-while serving the common good in the process. Under the new regime, headstrong consumers will "seek to exercise their influence in every part of the business system," and companies will accommodate them by, for example, allowing them to design their own individualized cosmetics and houseboats (an innovation whose benefits include "emotional bonding with... the company" and "a greater degree of self-esteem"). Rather than simply selling their products and services, companies will design "experience environments" that comfort the consumer in any contingency, such as General Motors' On-Star satellite communications system, which can summon help after an accident, open the car doors if the driver is locked out and direct motorists to the nearest Italian restaurant. Beneath the avant-garde terminology, the book mostly boils down to a medley of strategies to make business more consumer-friendly, like flexible pricing schemes, electronic gadgets that are easy to use instead of baffling, options and add-ons, meticulous market research and lavish customer service and support. With the advent of Web 2.0, we are seeing dramatic changes in the way people interact with each other via the Internet. Blogs, Wikis, online communities, social networks, and distributed teams are just some of the ways these technologies are shaping our interactions. Strategic Alliances and Marketing Partnerships will help readers understand how partnerships function and how they can manage them more effectively and efficiently. Dealing with key topics such as supply chain management, marketing channels and relationship management, it identifies the key factors that determine partnering excellence. Whatever the nature of the relationship - whether outsourcing, strategic alliances or co-manufacturing - there are eight distinctive relationship types identified by the authors to help managers optimize their business-to-business partnerships. Many of today’s companies struggle with the task of delivering products customers when and where they want them. Using tactics from articles in this volume, any company can learn how to beat the competition, and stripping waste from each step in their value-delivery process. This textbook focuses on the members of the digital value chain for eBusiness and eCommerce and dedicates a separate chapter to each of them: eProducts and eServices, eProcurement, eMarketing, eContracting, eDistribution, ePayment, as well as eCustomer relationship management. In addition to business models and business webs, digital procurement and marketing processes such as electronic negotiation processes, security questions with digital signatures, as well as electronic supplier relationship management and customer relationship management are also addressed. The topics are described using explicit procedures and descriptive examples of their application. A case study describing the gradual creation of an electronic webshop for DVDs is developed over the course of the book. This book deals with collaborative planning, an approach to supply chain planning which aims to coordinate planning tasks of independent supply chain partners while respecting their local decision authority. It gives an introduction to collaborative planning, shows how it is embedded in the broader subject matter of supply chain management, and reviews findings of related literature. At its core, it provides a step-by-step description of a negotiation-based, practice-oriented approach to collaborative planning at the medium-term level of master planning between two supply-chain partners, a supplier and a single customer. Subsequently, this basic concept is extended to cover supply chains with multiple partners and planning on a rolling basis. Implications of collaborative planning on supply contracts are sketched out, and incentives for cooperative behavior by the supply-chain partners are analyzed by applying concepts of game theory. The second edition is completely reworked and updated and has become even more accessible. In a book that challenges everything you have learned about being customer driven, internationally acclaimed innovation leader Anthony Ulwick reveals the secret weapon behind some of the most successful companies of recent years. Known as "outcome-driven" innovation, this revolutionary approach to new product and service creation transforms innovation from a nebulous art into a rigorous science from which randomness and uncertainty are eliminated. Tonya Boone Ph.D. & Ram Ganeshan Ph.D.
Technology has introduced dramatic new efficiencies to supply chain design, management, and control--but only to those who can open their minds to these new methods and strategies. This book presents innovative articles from eighteen of today's top young Ph.D. scholars, each based on discussions at the 2000 Frank Batten Young Leaders Forum of the College of William and Mary. The e-business environment has brought about a new kind of competition. Instead of the traditional mode of firms competing against firms, we now have supply chains competing against supply chains. "Supply Chain Management: Issues in the New Era of Collaboration and Competition" examines this new business landscape in background, touching on major issues of the supply chain, and readers the assets to obtain that important competitive advantage. "Supply Chain Management: Issues in the New Era of Collaboration and Competition" contributes to this interesting global phenomenon by collecting well-researched works that illuminate in SCM issues in the e-business environment. Until now, the literature on innovation has focused either on radical innovation pushed by technology or incremental innovation pulled by the market. In "Design-Driven Innovation: How to Compete by Radically Innovating What Things Means", Roberto Verganti introduces a third strategy, a radical shift in perspective that introduces a bold new way of competing. Design-driven innovations do not come from the market; they create new markets. They don't push new technologies; they push new meanings. It's about having a vision, and taking that vision to your customers. Think of game-changers like Nintendo's Wii or Apple's iPod. They overturned our understanding of what a video game means and how we listen to music. Customers had not asked for these new meanings, but once they experienced them, it was love at first sight. But where does the vision come from? With fascinating examples from leading European and American companies, Verganti shows that for truly breakthrough products and services, we must look beyond customers and users to those he calls 'interpreters' - the experts who deeply understand and shape the markets they work in. "Design-Driven Innovation" offers a provocative new view of innovation thinking and practice. Managers, entrepreneurs, and venture capitalists all seek to maximize the financial returns from innovation, and profits are driven largely by the quality of the opportunities they pursue. Based on a structured and process-driven approach this book demonstrates how to systematically identify exceptional opportunities for innovation. This book provides a principled approach for the effective management of innovation tournaments - identifying a wealth of promising opportunities and then evaluating and filtering them intelligently for greatest profitability. With a set of practical tools for creating and identifying new opportunities, it guides the reader in evaluating and screening opportunities. The book demonstrates how to construct an innovation portfolio and how to align the innovation process with an organization's competitive strategy. Lean Six Sigma for Supply Chain Management contains specific information for developing inventory models, metrics for aligning objectives with strategic goals, a concise overview of supply chain concepts, and models illustrating how lead time and demand impact customer service and inventory investment levels. Companies can’t survive without innovating. But most put far more emphasis on generating Big Ideas than on executing them—turning ideas into actual breakthrough products, services, and process improvements. That’s because “ideating” is energizing and glamorous. By contrast, execution seems like humdrum, behind-the-scenes dirty work. But without execution, Big Ideas go nowhere. In The Other Side of Innovation, Vijay Govindarajan and Chris Trimble reveal how to execute an innovation initiative—whether a simple project or a grand, gutsy gamble. Mesh Collaboration, a book by Andy Mulholland and Nick Earle, helps companies understand how to thrive and grow in a fast moving, ultracompetitive, globalized world by telling the story of Jane Moneymaker, the CEO of the fictitious Vorpal, Inc. Mesh Collaboration continues the story started in Mashup Corporations. In that book, Moneymaker and her team grappled with mashups and service-oriented architecture and the nature of Vorpal's relationships with innovators, customers, suppliers, and with the IT department. Mashups allowed a new form of business model, focused on selling customized products to niche markets and using the power of viral marketing. In Mesh Collaboration we pick up the story as Moneymaker and her team face the challenges of scaling the new business model in the multi-cultural globalized world. General sales and administrative costs are soaring and it is unclear why. Using the technique of explanatory fiction, Mesh Collaboration shows how Moneymaker merges the new world of Long Tail niche business models with the mass-market enterprise business model. The New Age of Innovation reveals that the key to creating value and the future growth of every business depends on accessing a global network of resources to co-create unique experiences with customers, one at a time. To achieve this, CEOs, executives, and managers at every level must transform their business processes, technical systems, and supply chain management, implementing key social and technological infrastructure requirements to create an ongoing innovation advantage. WHICH INDUSTRIES WILL BE EXTINCT IN THE 21st CENTURY. This book is as close to a crystal ball as you may ever find. It may make the difference between your company s survival and extinction. Reading the future and being able to spot tomorrow's trends today demands a combination of imagination and knowledge. 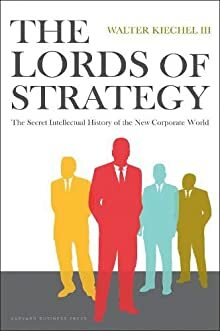 But if companies are to succeed in the new global economy, they will need that and more they will need a guide. The New Industrial Revolution is that guide, a fascinating examination of two defining eras in American business: The Industrial Revolution and today s Information Age. But it goes one step further to help identify changes, trends and the underlying dynamics that will be necessary to incorporate into any company looking to survive in the evolving worldwide marketplace. Benny Madsen and Rob Brownstein, authors of The New Industrial Revolution: The Power of Dynamic Value Chains, characterize today s Industrial Age by micro-technology, digitalization and low-cost global communication. This book defines supply chains, focusing on the impact that they can have o the retail industry. Featuring step-by-step how supply chains are set up, the factors that can impact them and what that means to the customer. 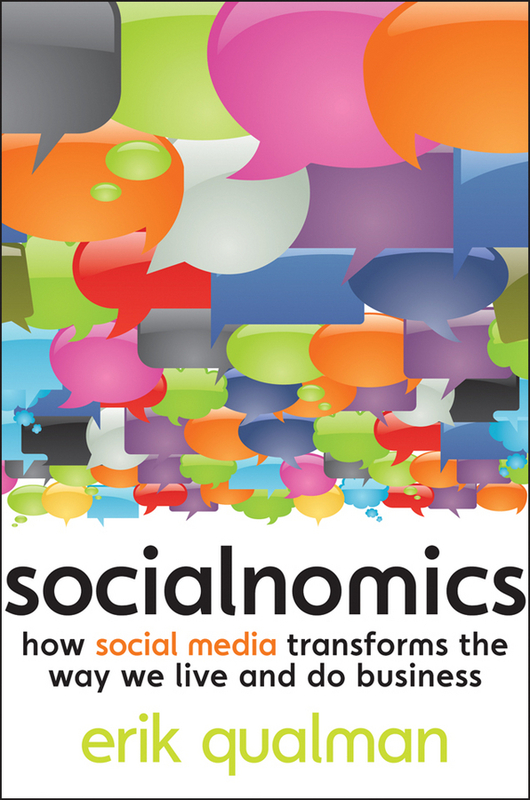 A fascinating, research-based look at the impact of social media on businesses and consumers around the world, and what's in store for the future. Collaborating with Customers to Innovate explores the collaborative potential offered by customers in digital environments to enhance the effectiveness of new product development. The internet has created the problem of an increasing need for innovation in a context where information is transparent, competitors are just one click away, and product lifecycles are shrinking. However, as the book demonstrates, the internet also provides the solution - enabling new forms of value creation with customers and an efficient way to harness distributed competences. Specifically, the authors highlight the role that digital environments play in allowing firms to engage customers in product design and testing. They develop a major review of web-based tools for marketing interaction and then explore the opportunities for sustaining innovation through collaboration beyond the customer-firm relationship. Negotiating the lowest possible price is no longer enough. Internal customers now demand more: they need business advice, guidance, and expertise to manage their sourcing requirements. They need an organization that focuses less on price and more on the value that vendors can provide. The organizational key to unleash the potential of strategic sourcing is the Vendor Management Office. It is an over-arching organizational concept of strategically managing procurements and vendors to maximize business investments in key commodities. Resulting from over 10 years of real-life experience implementing VMOs, this book introduces the concept of a VMO and the VMO philosophy that cost is not always a factor. The book is much more than conceptual: concrete and practical tools considered necessary to launch a newly formed VMO are explored in detail. Additionally, appendices contain materials that can be easily adapted for use by any VMO. Ron Ireland was one of the leaders in Wal-Mart’s effort to develop its supply chain processes for collaborative forecasting and replenishment execution using retail links for communicating point-of-sale, forecasts, and inventory information to its suppliers. As a result he helped pioneer the retail industry standard called Collaborative Planning, Forecasting and Replenishment (CPFR). This collaborative process, which involves sharing information with supply chain partners in real-time, enables substantially improved planning and financial results. Using his extensive knowledge and first-hand experience, Ireland, with Colleen Crum, demonstrates what is necessary to achieve successful win-win trading partner collaborations and describes what companies give up when they don’t collaborate. 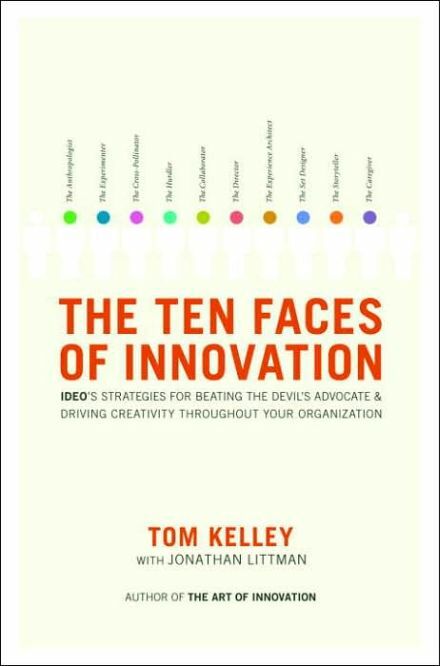 Kelley's latest builds on The Art of Innovation, which celebrated the work culture that distinguishes his high-profile, award-winning industrial design firm, IDEO. This book covers much of the same territory, but focuses on the type of worker and team-building rather than the work environment. The authors define 10 personas, including Anthropologists, who contribute insights by observing human behavior; Experimenters, who try new things; Hurdlers, who surmount obstacles; Collaborators, who bring people together and get things done; and Caregivers, who anticipate and meet customer needs. Like its predecessor, the book is breezy and well written, with plenty of self-promotion. Kelley and Littman weave classic and recent stories of business innovation, such as 3M's Scotch tape, Volvo's three-point seatbelts and Netflix's mail-in DVDs, with IDEO's own success stories with clients ranging from the Boston Beer Company, for whom IDEO designed a new Sam Adams tap handle, to Organ Recovery Systems, for whom IDEO helped develop ways to expedite kidney transport. Aspiring business innovators and fans of The Art of Innovation may find further inspiration in this handbook. 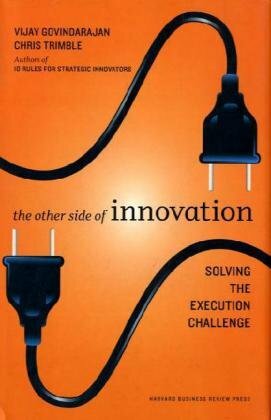 Finally, an entertaining and useful book on innovation that is that is written in an innovative style - beginning with the fact that the book s Afterword comes first.Consumers and customers are embracing change and adopting new product offerings and services earlier and faster than ever. The need for your company to innovate is constant -- and if you don't your competitors will. Bhaskar Chakravorti peels back the many factors that govern an innovation's penetration into interconnected markets-and offers a game plan for successfully steering innovations from the lab to the living room. 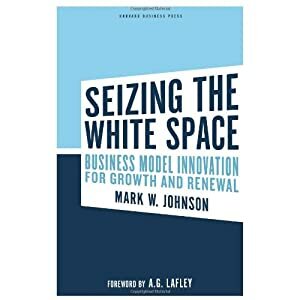 This landmark book describes how companies can achieve transformational growth in new markets Or, simply put, how they can seize the white space. To step out into the unknown and seize the white space requires a new language - and a framework with which to understand an existing enterprise and the white space it hopes to conquer. This book - from Clay Christensen's firm Innosight - is devoted to making game-changing business model innovation a possibility.